SACRAMENTO – Beginning October 1, fruit growers will be contacted by the U.S. Department of Agriculture’s National Agricultural Statistics Service (NASS) to participate in the 2011 Fruit Chemical Use Survey. NASS will contact growers in 12 states, including California, to collect information on pesticides used, acres treated and rates applied to more than 20 fruit crops. information on current fruit production practices in the United States. 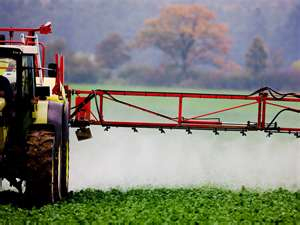 The results will help clarify the facts about chemical use in agriculture. Survey results will be published in the Fruit Chemical Usage report to be released in July 2012 and will be available in Quick Stats on the NASS web site at www.nass.usda.gov/. Reports and additional information can also be obtained by calling the NASS Hotline at 1-800-727-9540.